Congolese youth have been mobilizing and taking action throughout the democratic Republic of Congo (DRC). They seek fundamental, peaceful, non-violent change, not merely a political alternative. When it became clear to them that President Joseph Kabila was seeking to remain in power by any means necessary, they stepped up their efforts to educate and mobilize the Congolese population to become more engaged in advocating for change throughout the country. The youth established a broad network of student and youth organizations under the banner of FILIMBI. The FILIMBI network has taken a number of actions via "Nous Sommes Congo,"We are Congo." The most consequential action was FILIMBI's participation in the January 19 - 22 demonstrations against the change in the electoral law. These demonstrations were dubbed the #Telema uprisings. The demonstrations resulted in at least 42 people dead, most at the hands of the Kabila regime's security forces, 15 of the 42 dead came directly from the FILIMBI network. Many suffered bullet wounds and were hospitalized as a result and hundreds were arrested, estimates run as high as 400. In spite of the repressive actions by the government, the youth and those who went into the streets prevailed and the government's attempt to legalize Joseph Kabila's stay in power beyond his constitutional mandate failed. The latest repressive action against the youth occurred on March 15th. The youth in the FILIMBI network invited their counterparts from Senegal and Burkina Faso to share experiences and strategies regarding civic engagement. The Congolese government unleashed its security forces on a press conference organized by the youth arresting everyone it could; journalists, musicians, the youth from Burkina Faso and Senegal and Congolese youth who are a part of the FILIMBI network. The foreign journalists were released the same day and the youth from Burkina Faso were released several days later, declared persona non-grata and sent back to their countries. However, the Congolese youth are still in the hands of Congo's security forces and have not been afforded due process. In fact, the government spokesperson have painted them as terrorists seeking to mount an armed insurrection. At least five individuals (Sylvain Saluseke, Fred Bauma, Yves Makwambala, Deddy Kishimbi, DieuMerci) are in the hands of Congo's security forces. Friends of the Congo has launched the "Free FILIMBI Youth" campaign. 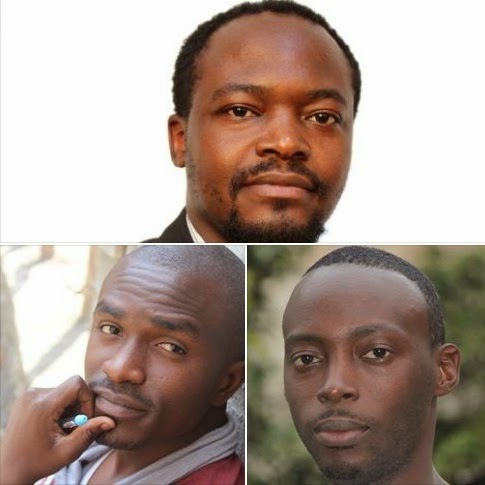 The purpose of the Campaign is to free the FILIMBI youth along with hundreds arrested from the January 19 - 22nd demonstrations as well as all political prisoners among them, the likes of Jean Bertrand Ewanga, Diomi Ndongala, Jean-Claude Muyambo, Vano Kiboko, Christopher Ngoy, Mike Mukebay and many others.